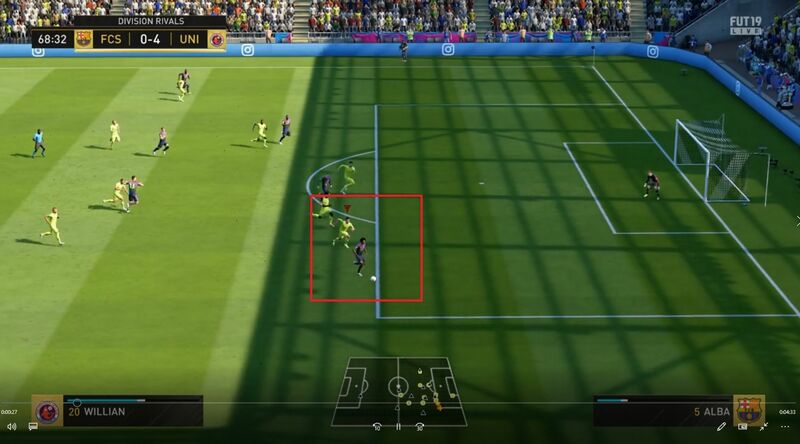 Are there any cheats/scripts in FUT? Hi guys, tonight i played a game of Rivals against a team that didn't had players indicators. Curious. Are there any cheats/scrips in FUT? Maybe someone from EA could look into this? I also have some videos about this. Should you really be posting people's usernames on here? Do you have any evidence he or she was cheating? Please do not name and shame as it's against the forum rules. If you feel like a player may be cheating you can report them using the correct method for your platform. It is a hack. Sometimes when the match starts and you see there how many players pressed the ready button example: 1/2 if one pressed and 2/2 when both players pressed ready. But wtf means when i press ready 1/12? I play vs 12 players? Isn't that a hack? you can turn it off for your team but the other player will still see the indicator above your controlled player . the above poster who mentions the glitch with AI controlled teams in online games is correct. It's not a blatant cheat method although i do know how to make it happen . I reported it numerous times with all the steps that make it happen. It's infuriating even for the player who cannot control his own team anymore . IF you leave the controller untouched during the game you get disconnected and DNF even though you have no actual control over your players ! IF the AI decides to play like beginners then you're screwed .